What’s Binghamton, New York’s culinary claim to fame? Unless you’re a native, the answer isn’t obvious. But the Triple Cities area has a distinct regional sandwich to call its own: the spiedie. So beloved that there’s even an annual summer festival in its honor, the spiedie is a straightforward creation: Skewered meats are marinated, grilled and served on white bread or a crusty roll. There’s a clear Italian influence, from the name—which is likely derived from spiedino, or “skewer”—to the oil-and-vinegar marinade. Agostino Iacovelli often gets credit for creating the spiedie. He offered it in the late 1930s, at Augie’s, his Endicott, New York, restaurant, and the sandwich quickly caught on across the region. The filling. As with so many seemingly simple sandwiches, the details are key. Do you prefer lamb spiedies, or pork or chicken? Though chicken is a popular choice these days, the first spiedies were generally lamb, in a garlicky, herb-laced marinade. The bread. Sliced Italian bread is the standard—use the bread to grab the chunks of meat off the skewer, and presto, you’ve made a sandwich. Some places offer crusty rolls instead. Lupo’s S&S Char Pit: One of the best-known names in spiedie-dom, Lupo’s has been around since the 1950s, and is still family-owned; any of the charcoal-grilled spiedies are a fine choice. 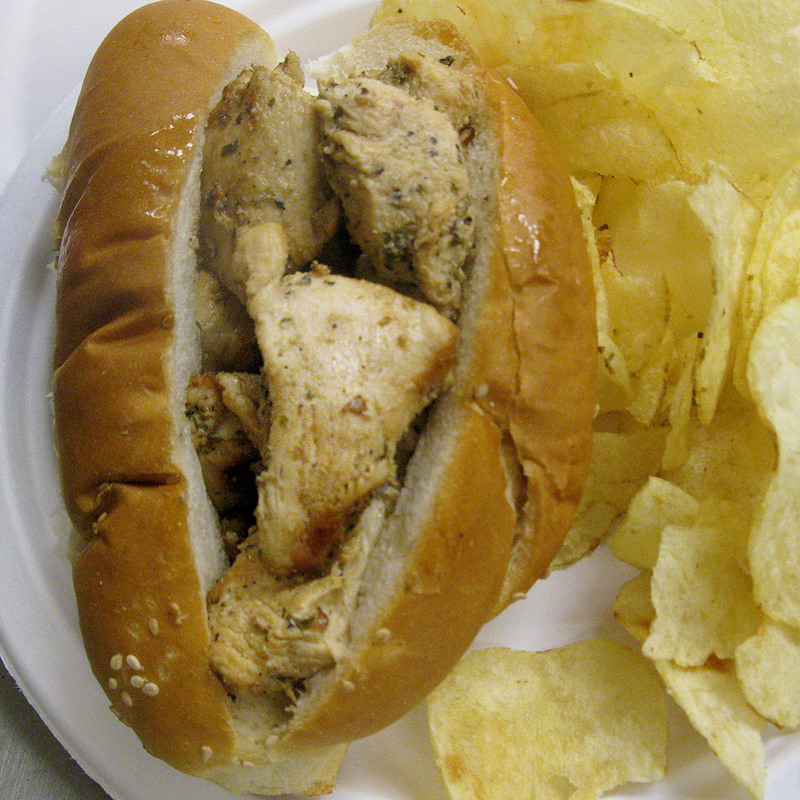 Though most spiedies are served on sliced Italian bread, Lupo’s are tucked into a crusty roll from Felix Roma Bread. Not in the area? Lupo’s marinade is sold in bottles. Sharkey’s: This comfortably run-down Binghamton tavern may not be much to look at, but you’re not here for the ambience—you’re here for the juicy chunks of chicken or pork in a deeply spiced proprietary marinade. Spiedie & Rib Pit: This award-winning spiedie shop has been around since 1993, serving a wide variety of the sandwiches—generously sized and beautifully grilled—from the classics to buffalo chicken spiedie to spiedie caprese.